Jammer Doors is a quality organization, setting serious standards in the industry. 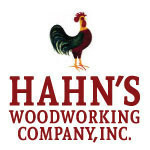 We are family owned and operated, and have been serving the Tri-State area since 1920. Join as we celebrate our 98th year in business. 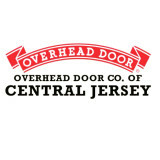 In 1920, the late Laura M. Jammer and her husband, Louis A. Jammer, Sr. started a weatherstripping business out of their home in Morrisville, Pa. Over time, the business grew from installing window screens and porch screening to selling a variety of doors, including popular overhead garage doors. Today, Jammer Doors is in their fourth generation of being a family-owned and operated business for over 98 years, specializing in the sales, service and installation of quality doors and door-related products. Garage doors today are now designed to be part of your home’s design and its architecture. 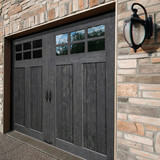 A home’s garage door can make a statement, to reflect the unique style and personality of a home and its owner. You’re sure to find the perfect garage door with Jammer Doors, one of the premier garage door companies in the Tri-County area! 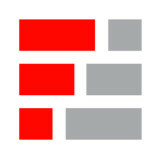 At Jammer Doors each product line we carry offers THE FINEST quality selection and exceptional warranties. Jammer deals specifically with the Raynor Innovation Series, as well as an array of carriage-style doors featuring the American Rivers collection, Artisan and CHI overhead doors. The Innovation Series by Raynor is known for their solid construction and famous “For As Long As You Own Your Home” warranty. You can view and try them yourself at Jammer’s new, large and interactive showroom, open six days a week, featuring six fully operational garage doors in the latest steel, fiberglass and wood styles. Jammer’s key to customer satisfaction is simple: communication, teamwork and on-site supervision of projects from beginning to end. Get a FREE Estimate We'll come to your home or business and give you a FREE and honest estimate. Why not discuss your projects with our experts? What kind of services do West Norriton, PA garage door dealers and installers provide? 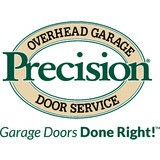 Find garage door sellers and installers in West Norriton, PA on Houzz. Narrow your search for West Norriton, PA garage door sellers and installers by selecting the nearest city or zip code. Look at portfolio and product photos, and read reviews to find the best West Norriton, PA garage door professional for your home.